Ecuador travel news just became better for our Ecuador Living subscribers in two ways. Ecuador airfares are not high in the first place. For example, the fare for the three hour 45 minute flight from Miami to Quito Ecuador for our November International Business Made EZ course on November 4, 2008 is only $486 on Lan Airlines. This is a reduction from a year ago when fares for the same flight were $565. Yet Ecuador travel may become even less expensive. Miami Ecuador fares are likely to fall because Aerogal is about to fly from Miami to Quito. Aerogal is an Ecuador airline based in Quito, Ecuador. Originally it flew passenger and cargo flights between mainland Ecuador and the Galápagos Islands, but has expanded dramatically over the years. Aerogal now flies from Guayquil and Quito to Manta and Cuenca (as well as the Galapagos) plus Colombia. Last December Aerogal began a nonstop service from Guayaquil to Miami but then suspended this service just six weeks later because of low passenger loads. Now Aerogal has new Boeing 757-200 airplanes that will allow the restart of the Miami service. The Aerogal Miami-Quito flights begin again December 7, 2008. Last December when Aerogal started this service, a fare war began. American Airlines dramatically dropped its fares. Watch for them to do this again! Aerogal has a young, dynamic President, Gabriela Sommerfeld, who has been working to increase the domestic routes as well as launch international flights to New York and Miami. This fact creates the second bit of good Ecuador travel news. The second bit of good Ecuador travel news is better schedules and lower fares from Quito to Manta. Palmazul, the hotel where we have our condos on the beach has entered into a program with Aerogal so that they can issue coupons in packs of 16 at a special price. The normal fare is $140 round trip but the coupon brings the price down. Because so many subscribers travel to Manta we are buying these coupons so we can pass the savings along to our subscribers. If you subscribe to Ecuador Living you can get your fare reduced from $140 to $115. As an Ecuador Living subscriber you save $25 per round trip flight. Even better Aerogal has a new better itinerary from Quito to Manta. Aerogal has new, better airplanes plus the better itinerary. 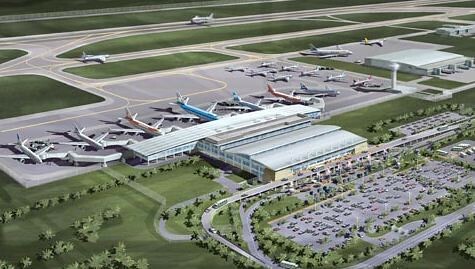 The new nearly 4,000 acre airport we expect to be even better. Because it is about 45 minutes closer to Cotacachi, this adds some great opportunity for real estate in our area now. We look at this in our real estate tour. See below. The new airport scheduled to open in 2010 is about 15 miles west of Quito and that much closer (about an hour of travel saved) to our province. 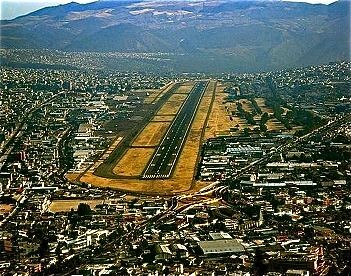 This airport will sit at about 7,500 feet altitude compared to Quito ’s 9,500. This lower altitude and elimination of noise reduction procedures (due to being away from town) means larger loads can arrive and take off. The Manta airport also creates some special real estate opportunity as well. See why here. Since our Ecuador Living service includes a free night stay at our hotel El Meson de las Flores the first time you stay three nights (a $72 value) and at Palmazul on the beach (a $139 value), you more than save the price of subscription with just the air fare and hotels savings. 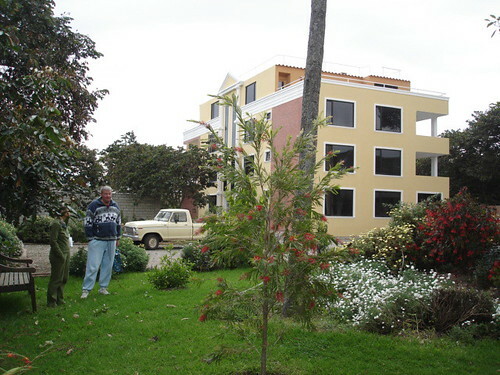 Learn about many other benefits you gain as a subscriber at Ecuador Living. Until next message, may you find good fares wherever you go. Join Merri, me and Jyske Global Asset Management at one of our courses. We review economic conditions, Ecuador real estate, my entire portfolio plus investing and business ideas for the months ahead. 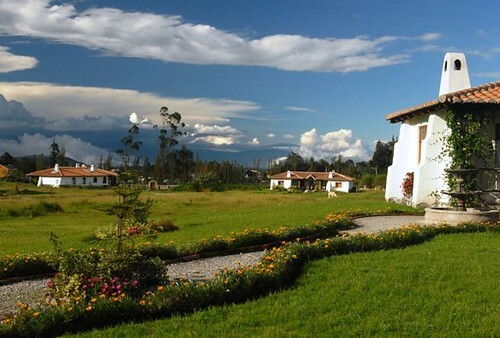 Enjoy the beauty of the Andean countryside. Visit the wonderful crafts markets and save on your Christmas shopping. See beautiful property in our area for sale. Enjoy Ecuador ’s empty beaches.